If you are having a checklist of things that one should try when in Turkey, then Turkish Bath is a must! Revitalize and rejuvenate your body and soul with an amazing, yet relaxing experience in a traditional Turkish Bath in Antalya. Antalya Turkish Bath Experience is also suitable for those who wish to learn more about the Turkish culture. Your relaxing Antalya Turkish Bath Tour starts by the time you will be picked up from your hotel. Our team members will drive you, in a short period of time, towards a Hamam that is located in the city centre of Antalya. “Hamam” or Turkish Bath as a tradition, traces its origins 5000 years back when the Oriental bathing culture started to evolve as a ritual concept. 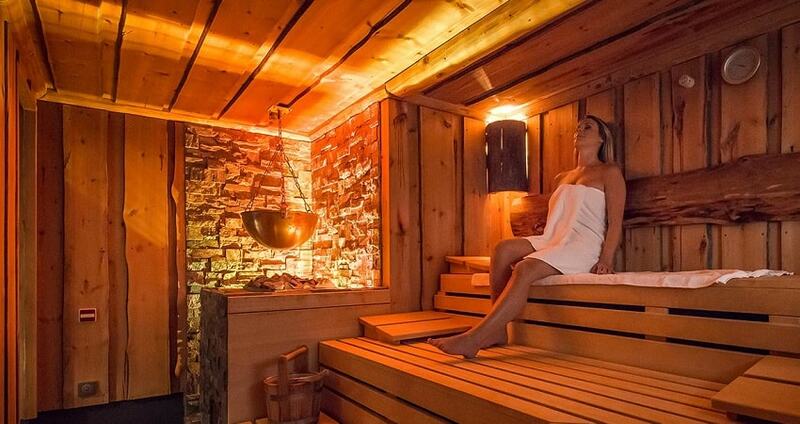 The word “Hamam” is originally Arabic which means warm. An authentic, traditional Hamam usually has various spa-like rooms. They are the warm-air room, the hot-air room with a temperature that is around 40 and 50 degrees Celsius, the cooler rooms and of course the dressing rooms. In the hot-air room, people are entering with a linen body cloth. It is important to note that, inside the Hamam, the temperature is so high so you need to make sure that you are not facing health-related problems. It is also recommended that you drink a lot of water inside the facilities to hydrate your body. You will be making use of all these rooms in order to enjoy a revitalizing experience at its maximum, since the concepts of body cleansing, massage and sweating are important parts throughout the rejuvenating process. Get relieved from the stress that your routine causes and enjoy an amazing spa ritual in Antalya. Turkish Bath experience is not only able to offer you some rest from the sightseeing. In fact, it is related with various health benefits such as blood circulation. In total, you will be able to enjoy approximately 2 hours of resting at a hot marble stage. Foam massage, sauna, peeling, oil massage, face mask and face massage are included as well. By the end of your experience and once you wash yourself you will be amazed by how relaxed you are feeling. Your Turkish Bath excursion finishes by the time our team members drop you off at your hotel. The whole experience will offer you positive emotions as well as a revitalized body and spirit. Your holidays in Antalya will be different after spending some hours at a traditional Antalya Turkish Bath. 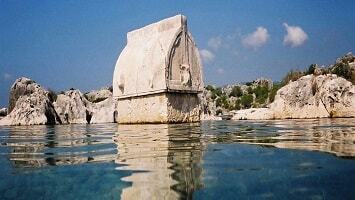 To read more about all Antalya Excursions, please follow the link. Get to know more about Turkish culture by experiencing from first-hand with Antalya Turkish Bath. As a must for your holidays, Hamam experience promises to revitalize your senses, your body and your spirit. 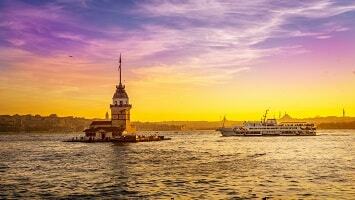 An experience not to be missed when you are in Turkey. Once you are picked up from your hotel, you will be driven for a short distance, at a traditional Turkish Bath in the city centre of Antalya. “Hamam” or Turkish Bath is a bathing tradition of 5000 years. 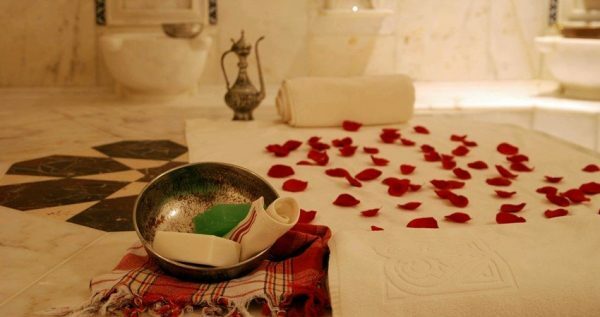 The word “Hamam” is originally Arabic and means warm. The authentic, traditional Hamam has various spa-like rooms. They are the warm-air room, the hot-air room with a temperature that is around 40 and 50 degrees Celsius, the cooler rooms and of course the dressing rooms. You will be spending around 2 hours in this amazing authentic Turkish Bath. 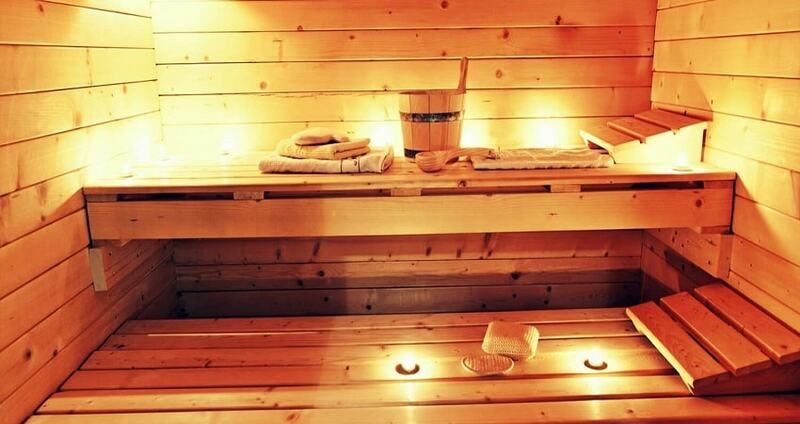 The hot-air room, something like a sauna, has a temperature around 40 and 50 degrees Celsius. In the hot-air room, you will enter with a linen body cloth. The room has marble floors and walls. Around the room you can find “bathing alcoves” with a cold and a hot water faucets over a marble tub. You can use the plastic bowls to pour water over yourself. After the hot-air room you will be transferred to another warm room for the scrubbing procedure. There, you will be able to enjoy a full-body scrub with the use of an exfoliating mitt that is called “kese” in Turkish. This process will revitalize your body since all the dead layers of the skin will be removed. Once your body is scrubbed, one of the most exciting parts follows. The foam massage is taking place once your body is fully covered with soap foam. The person in charge will wash your whole body by hand and precede with some gentle massage movements. You will have a chance to relax for a while and feel the energy covering your body. Once you are dried from the foam massage get ready for the ultimate relaxing experience! A full body relaxing aroma massage will be the final part of this amazing experience. With an approximate duration of 25 minutes, your masseuse will immerse you in the secrets of the Oriental spa rituals. Your body will be covered with a lot of massage oil so as to be soft for the massage. By the end of the massage session your skin will be brand new and really smooth. Antalya Turkish Bath experience ends by the time you are dropped off at your hotel. By that time you will feel relaxed and revitalized. Turkish Bath will be an unforgettable moment in your vacations.